In a perfect world buying decisions would be based on a weighing up all the alternatives following a thorough review of the necessary information. However it is far from a perfect world. Things get simplified. Are Your Customers Facing Information Overload? Managers are busy people. They have limited time for gathering and reviewing information, or pondering on all of the choices. Just as they are scarce on time they are also scarce on attention. They are at risk of information overload and analysis paralysis. That has implications for sellers and how they manage the flow of information. We may think that our project or purchase is the top priority for the manager-buyer and commands their full attention. However it may just be one of a list of responsibilities or tasks facing the manager. How can you reduce the information load on your customers? We may think that the decision is foremost on the manager’s mind, that he or she has read the information that has been provided, or has prepared in advance for the next meeting. Yet as sellers we are often surprised that our emails and documentation have not been read and that buyers show up for meetings without any agenda and with little obvious preparation. The reality is that buyers sometimes take short-cuts and with good reason. – There is limited time available. In these instances decision makers are likely to implement a decision simplification strategy. That is a fancy term for taking a short-cut one that is used by cognitive researchers. Could your customers be over-simplifying the decision? Buying processes and procedures tend to make buying decisions more complex and perhaps even bureaucratic. However like many trends there is a counter trend towards simplification. 1. Reducing the number of choices or alternatives to be considered. For example by applying supplier screening or prequalification criteria such as company size, quality certification, or product features (however well thought through) to eliminate some sellers from the mix. 2. Reducing the number of variables or factors to be considered. That typically requires more tightly defined requirement at an earlier stage in the buying process. – Heuristics or rules of thumb. Of course the most common simplification criterion is price. 4. Reducing the number of sources of information to be considered or limiting the time or budget available for information. That includes taking information on face value, or alternatively using only high trust sources of information that can then be accepted on face value. 5. Using an expert or analyst to fast-track or guide the decision making process. 6. Be guided by the decisions of peers. This is a form of social comparison, such as for example when buyers ask questions such as; who else have you worked for? Or have you worked for others in our industry? A variation of this is called Collaborative Filtering where the buyer is told ‘people who bought this also bought’. 8. Limiting the number of people to be involved or consulted in the decision. Also limiting the amount of supplies interaction or engagement. The familiar KISS acronym (keep it simple) has a new meaning for sellers in their interactions with busy, spoilt for choice; buyers. It is particularly important if selling to senior executives. 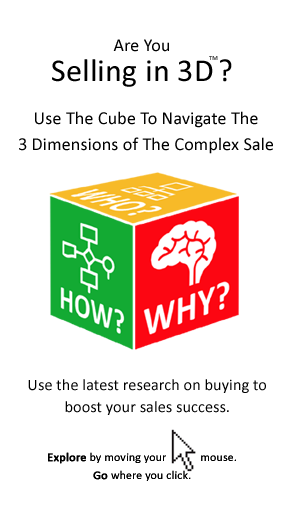 Are you helping the buyer to simplify the decision? Helping the buyer to keep it simple can be a powerful way of influencing the decision, or of helping them to buy. 1. Assume that the buyer is likely to simplify the decision in some way and tailor your proposition accordingly. Indeed go one step further and actively help the buyer to simplify the decision in any of the ways above. 2. Help them to select a set of factors or attributes to use in limiting the array of choices to be considered. 5. Provide the customer with an easy way to compare competing alternatives – this is arguably what analysts do. 6. Provide a framework for the decision – just as the business or value case framework does – see the business case on a beer-mat. 7. More choice is not always better. The seller has a role in what is technically called managing the choice architecture – that is in influencing how choices, or decisions are presented. Strategies here include, offering a default option or make some choices automatic. 8. Make sure the buyer does not have to struggle with what you are communicating. The technical term is cognitive ease You can find out how by clicking here. There are of course times when the seller must balance the need for simplicity with the danger of over simplification. That means ensuring that the buyer is not overlooking important information, risks or alternatives. The reality of buyer decision simplification puts a new perspective on the information to be provided during the sales process. 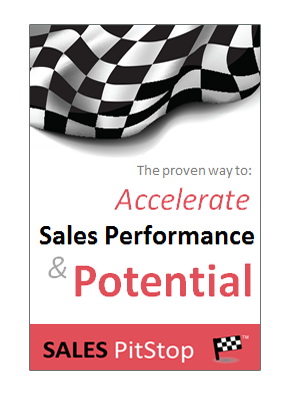 The question is : How does it impact on your sales performance? Too much information can sometimes be worse than too little. The seller’s job is to protect the buyer from information overload. That means the executive summary is perhaps the most important part of the 50 page report or proposal. How compelling is the summary of your report, or proposal? – From the salesperson’s perspective the message was easy to communicate with a deck of 20 slides and lots of examples, anecdotes and stories. But condensing it into just 60 seconds that was a challenge. – From the buyer’s perspective time is short and unless the proposition can be communicated succinctly it is probably not that compelling.